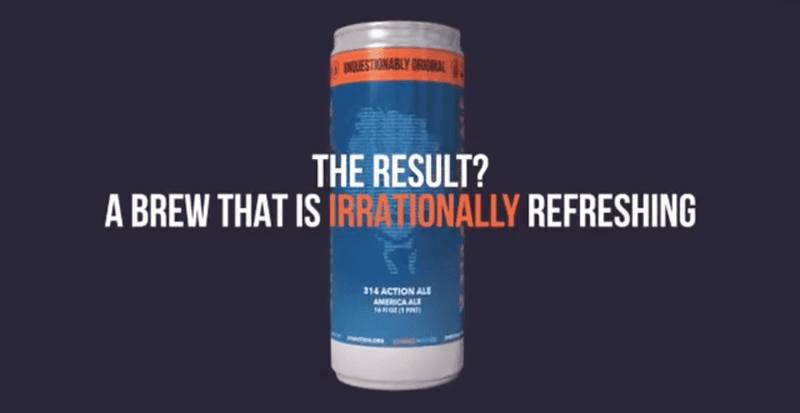 On the same day that students across the country walked out of their classrooms to demand government action on gun violence, D9 Brewing released a beer called 314 Action Ale. The beer is a partnership with pro-science organization 314 Action, an organization that aims to “bring science, fact and reason back to government.” Lately, the group has worked to raise awareness of efforts to repeal the Dickey Amendment, a regulation that effectively bars scientists at the government-funded Centers for Disease Control from studying gun violence. To see D9 release a beer that “combines science, beer, and politics” isn’t entirely surprising. The Lake Norman, North Carolina brewery has always been on the geekier side of beer, even in an industry that’s already pretty geeky. They’re best known for exploring the processes of fermenting beers with wild yeast and microflora, which is what you get when a brewery’s founded by two engineers and a doctor. The 314 Action Ale was released on Pi Day—no coincidence—and bills itself as a “pro-science beer” that’s even been entered into a brewing competition segment of the 2018 North Carolina Science Festival. The beer is is a raw ale, meaning it’s created with historic methods that don’t involve boiling the beer’s wort. (Read an explanation of how D9 compensated for the lack of boiling here.) Even the can design is nerdy, featuring a portrait of Einstein made up of pi’s many digits. 314 Action Ale beer is available for purchase online and can be shipped to dozens of states. All profits from the beer will be donated to the Stoneman Douglas Victims Fund.